Each week we’re profiling one company that has been selected for Boost – our early-stage startup growth program. Catch up with these companies in person at The Next Web Conference Europe this week. You might have an easy address to receive packages, food deliveries and all the bills you’d rather not open, but there are plenty of places on the planet that aren’t so easy to find. What3words’ mission is to give every single spot on the globe a unique and easy to remember address – literally three words that translate to a specific set of coordinates, a total of 57 trillion 3m x 3m squares. In the developed world, poor or incomplete address data is frustrating and costly for businesses and individuals. For the developing world, it’s even worse – the inability to define where you live limits opportunities for growth and can even be life-threatening. The company keeps addresses simple and clear by removing offensive words and homophones (words that sound the same but have different spellings) from its 25,000 entry wordlist. More common words are allocated to populated areas, while longer words are used for three-word addresses in unpopulated areas. TNW spoke to Giles Rhys Jones, Marketing Director at What3words, to find out more about the company’s history and where it’s headed. Tell us what you do in two sentences. What3words is a global addressing system, meaning everyone and everywhere has a simple address that can be communicated quickly, easily, and with no ambiguity. We have our own apps [for iOS, Android and the Web], but we also have an API that businesses and individuals can use to add precise addressing to their own products. What’s your origin story? How did the company get started? Around 75 percent of the world suffers from inadequate or no addressing systems. That means that around 4 billion people are invisible; unable to get deliveries or receive aid; report disease and unable to exercise many of their rights as citizens because they simply have no way to communicate where they live. It means that in remote locations water facilities can’t be found, monitored and fixed; and schools, refugee camps and informal settlements remain unaddressed. Even in countries with advanced address systems, people get lost, packages aren’t delivered, and businesses and tourist attractions don’t get found. This costs business billions. Poor addressing is costly and annoying in some developed countries, but around the world it hampers the growth and development of nations, ultimately costing lives. Chris, our founder, spent 10 years organizing live music events around the world and constantly faced huge logistical frustrations that came with poor addressing in different countries. He discussed the idea of a more usable and less error-prone version of the latitude and longitude coordinate system with a mathematician friend, who subsequently wrote an early version of the what3words algorithm that converts coordinates to words and back again on the back on an envelope. Who’s your biggest rival and why are you better than them? There are a number of alphanumeric location systems out there that use a combination of letters and numbers. None have had any significant success. Using words means non-technical people can find any location more accurately and most importantly, communicate it more quickly, more easily and with less ambiguity than any other system. Get rich or change the world – which is more important and why? We believe in doing good by doing business. Our model is to charge for licenses, API calls, for additional functionality like AutoSuggest, and for addressing consultancy. We also support fair and equitable use. What3words will always be free for individuals to use on our site and apps. We employ a structure that provides qualifying organisations including humanitarian and not-for-profit entities with a range of fee and discounted usage plans. One of our team won three ‘Countdown’ shows and is a former winner of the ‘Weakest Link’. 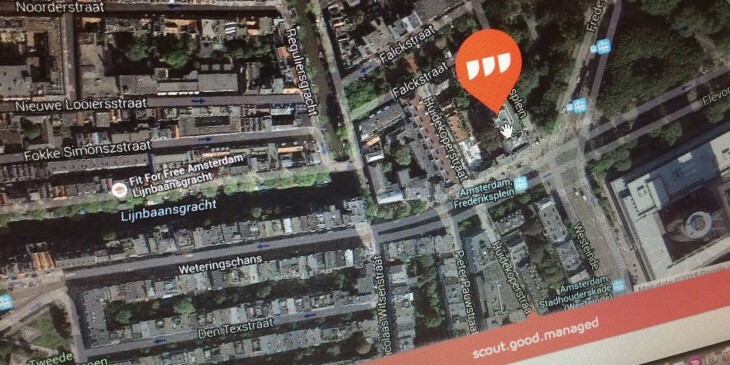 What does success look like for What3words? We become a globally accepted standard for communicating location and the 4 billion people who are currently unaddressed have an address.